How Could You Organize a Dinner Meeting for a Big Family & Their Kids? Take family feuds into account when arranging seating at your wedding reception. 3 How Could You Organize a Dinner Meeting for a Big Family & Their Kids? You've bought the dress, arranged your flowers and your RSVPs are flooding in. While it may seem tempting to just throw place cards in the air and let your guests sit at any table, it could cause friction and upset on your wedding day. 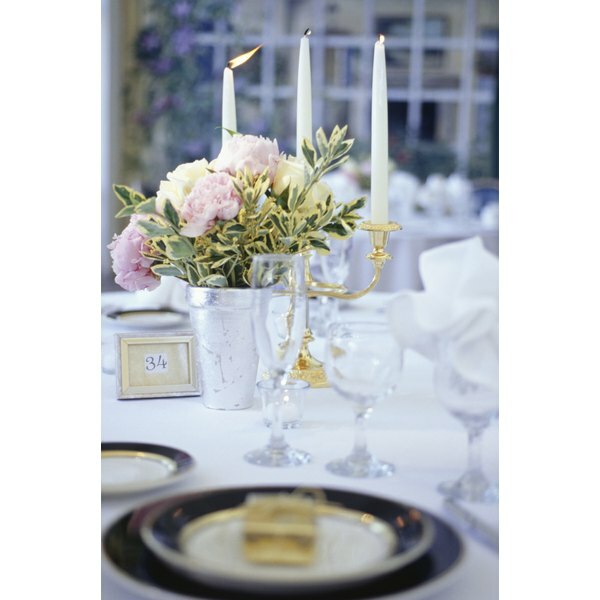 You only get one chance to get it right, so it's worth making the effort to arrange your guests properly. If done well, it will guarantee your wedding being a success with all who attend. Familiarize yourself with the layout of the venue. Use a large piece of paper to sketch out each table, taking into account its size and how many seats it can handle. Draw in where the DJ or band will be performing, exits, disabled entrances and restrooms. 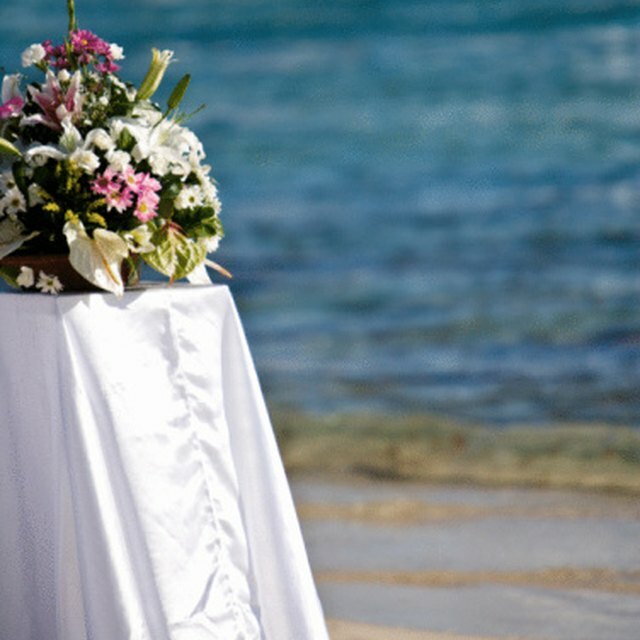 Assign each table a title according to your wedding theme, or simply number each one. Gather your RSVP cards and start classifying your guests according to relationship, such as family, work colleagues, childhood friends, family friends, etc. Doing this will allow you to group people appropriately. Assign family members first, which will whittle down your seating dilemmas. Family should be seated as close to the head table as possible. Take into account any disputes among relatives and separate those people accordingly. Seat elderly family members away from loud speakers. Make sure there is an even number of men and women at each table. Seat children under 8 at the same table as their parents. If you have a group of tweens or teens, give them their own table; they may prefer that to sitting with adults. Seat singles at tables with other singles, couples and families. Avoid having a "singles table." Assign two empty tables where vendors can eat during their breaks, or to accommodate last-minute guests who did not RSVP. Once your plan is complete, prepare a large seating diagram that shows the assignments. This should be on hand at the venue in case of any problems on the day. Write up your place cards once your plan is complete. For a personal touch, add a handwritten note inside each card, such as: "Thank you for coming such a long way to join us in our special day". While it may take longer, your guests will appreciate your effort. Alphabetize your place cards. When you present them to your caterer, explain clearly that they are in order and should be set out this way. If any become disorganized, then the caterer can place them back in order.